To end the summer term we had an extra special Forest School Session this week. 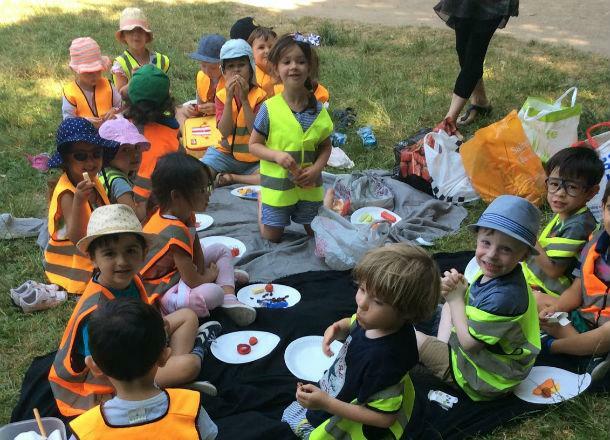 Both Nursery and Reception enjoyed a delicious picnic in the sunshine. We were very lucky to be able to enjoy the lovely weather and the children were all very excited. After the picnic we played some games such as ‘Duck Duck Goose’ and ‘I Spy’. View photos of the Forest School Picnic.